BARNWELL, S.C. -- -- A graveside service celebrating the life of Camille Griffin Thomas, 68, will be held on Saturday, March 23, 2019, at 11 a.m. at Great Saltkehatchie Cemetery on Cemetery Road off of Hwy. 301 in Ulmer, S.C., followed by a reception in the church’s fellowship hall. The family will receive visitors on Friday, March 22, 2019, from 5 – 7 p.m. at Cooner Funeral Home, LLC, 287 McGee Street in Bamberg. 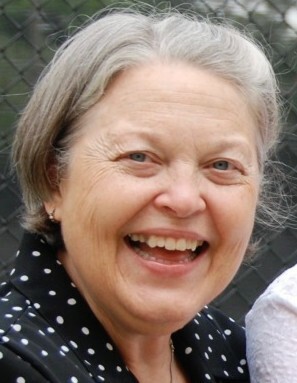 A beloved daughter, sister, aunt, friend and teacher, Camille passed away on March 18, after a brief illness. Born on January 26, 1951, in the Big Fork section of Barnwell County, S.C., Camille was the youngest child of the late Harry Johnny Thomas and Sara Griffin Thomas. She graduated from Barnwell High School in 1969 and then attended Winthrop College, graduating in 1973 with a degree in Education. She began her 28-year teaching career the following fall at Bamberg Elementary School where she taught for three years before moving to Charleston and teaching at Burns Elementary School. She then moved back to Barnwell in 1978 and spent the remainder of her career teaching mostly fourth grade at Barnwell Primary School, retiring in 2001. Camille is survived by her sister and brother-in-law, Phyllis Thomas Herring and Michael Herring of Bamberg; sister-in-law Joey Reeves Thomas of Allendale; nephews Jamey Thomas (Debbie) of Fishers, Ind. and John Taylor (Jill) of Bamberg; nieces Kim Thomas McCutchen of Little Mountain, Lesa Thomas Jernigan (Mike) of Charleston, Carla Thomas Davis of Allendale, Kelley Thomas Carroll of Barnwell, Lori Thomas Leonard of Fort Mill, Lil England Hayes (John) of Chapin and Carrie England Lanier (Whit) of Atlanta; as well as 22 grand-nieces and grand-nephews and one great grand-nephew. Camille was predeceased by her parents, Harry and Sara Thomas, her brothers Jacky and Don Thomas, sister Carolyn Thomas England and brother-in-law Jim England, sister-in-law Jackie Rayner Thomas, nephew Jimmy England and grand-nephew Billy Stone. In lieu of flowers, memorial gifts may be made to the Great Saltkehatchie Cemetery Fund, P.O. Box 8, Ulmer, S.C. 29849. Camille’s family wishes to thank family, friends and Josephine Patterson of Amedisys Hospice for the tremendous love and care shown during this time. Cooner Funeral Home, LLC (www.coonerfuneralhome.com) of Bamberg is assisting with arrangements.